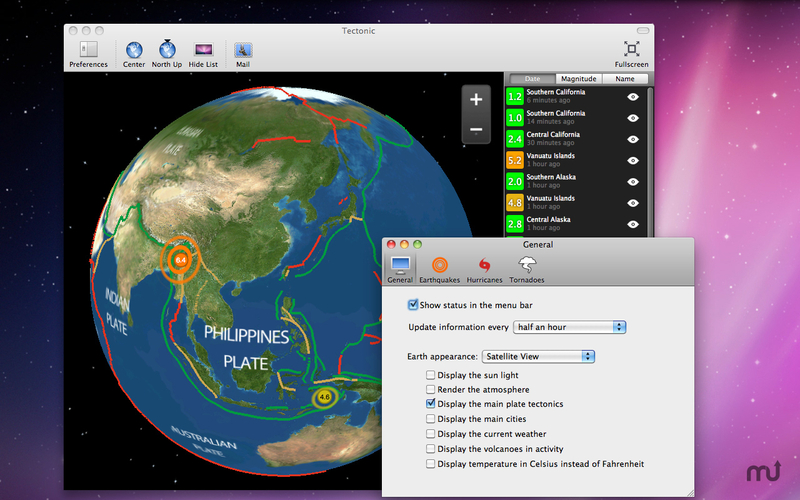 Monitor earthquakes and seismic events (was Tectonic). Is there a better alternative to xQuake? Is xQuake really the best app in Internet Utilities category? Will xQuake work good on macOS 10.13.4? xQuake (was Tectonic) is a 3D, interactive globe that displays earthquakes and seismic events. Recent earthquakes or seismic events are displayed on an 3D interactive globe. Tectonic is really fun to use with many options. You will see that earthquakes often occur along plate tectonics. Tectonic is also available for iPhone and iPad. The Mac version has been fully optimized for Mac OS X Snow Leopard and all pointing devices: a classic mouse, a Magic mouse or any touchpad.